One hot summer day in Kyoto, my girlfriend told me about the Sagano Scenic Railway. Also known as the Sagano Torokko. It is a train that wanders through Arashiama just south of Kyoto City, Japan offering a scenic tour of its natural beauty. Like many of my other Japanese adventures, I was intrigued and had to give it a try. Many prefer to ride Sagano Scenic Railway during the autumn to enjoy the foliage. This is understandable as Kyoto is known for some of Japan's best foliage. However, we rode in the summer confident that Sagano Torokko would not disappoint us. Sure enough, 620 yen (each) and a couple hours later I had a profound respect for Japan's landscape. What you see above is a postcard I bought and sent to myself from the Torokko Hozukyo station--the second and final station on my journey. It's a hobby of mine. 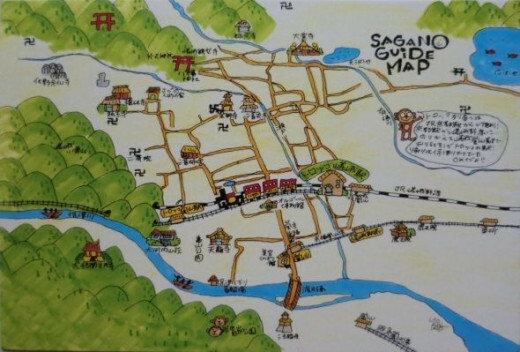 It's a map of the Sagano Scenic Railway. Running horizontally in the middle of the postcard is the Sagano Scenic Railway itself. 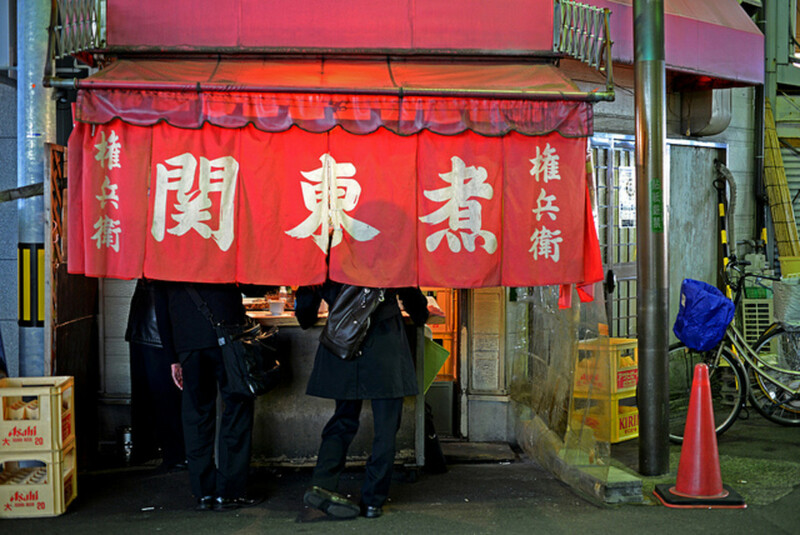 To the top (or north) is Kyoto City and some of its most famous tourist destinations. The monkeys at the south can be seen at Iwatayama Monkey Park. As you go west, you'll see the hills and the river just below. That is the path of the Sagano Scenic Railway as it chugs through Arashiyama. The river is the Hozugawa River. This is what you'll see when you ride the rail. The Honzugawa will be close by. The video above does an excellent job in illustrating the experience. However, during my trip there were no singing conductors. It moves slowly, giving passengers the opportunity to relax and enjoy the scenery. Notice how the Hozugawa River has carved a valley into the mountains. Both sides of this valley are dotted with trees. The train has wooden seats to add to the nostalgia. The windows have no glass or bars during the summer so be careful! Finally, the weather was much nicer for us which is why we took a boat back east instead of taking the JR.
To the right is a photo of the boat ride back: the Hozugawa River Cruise. Taking the train west and then the boat back east is easy to do and popular. The passenger leaves the train at Torokko Hozukyo, the second stop from Arashiyama. This is a small station that sells snacks and souvenirs. Leaving the station, he/she will find taxis and buses waiting. The passenger takes a bus or taxi to a small pier and boards a boat. There is no official schedule here. The boats leave when they are full or when there are no more passengers to board. 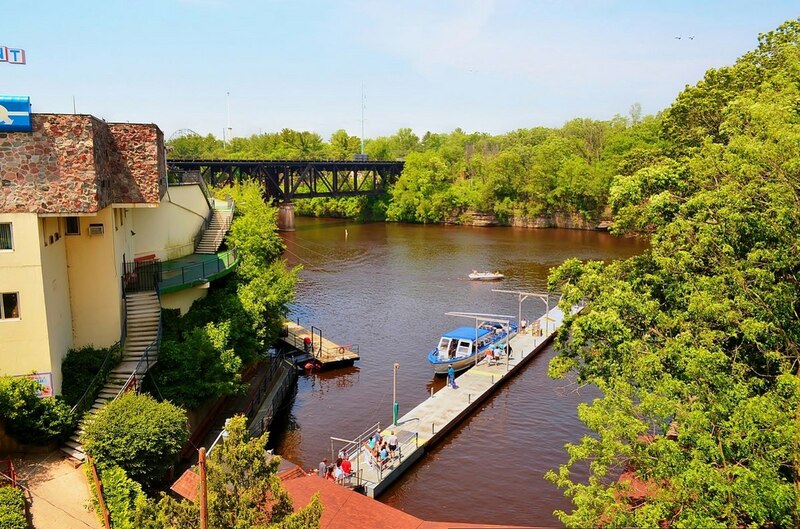 The river flows east and the boats go with the flow. Each one seats about twenty people and has three boatmen who take turns guiding the boat with poles and giving a tour of the area. 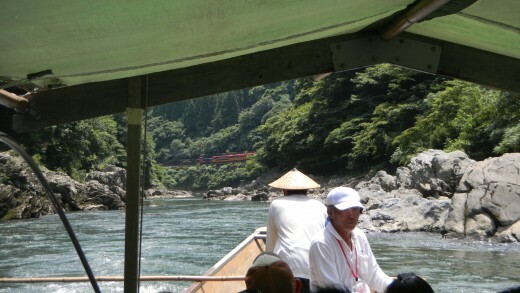 The Hozugawa River winds more than the Sagano Scenic Railway so the Hozugawa River Cruise is longer: about two hours. At times things get wet and rocky but this doesn't happen often. For those who get hungry, there are other boats waiting here and there to offer snacks and drinks. Your boat lines up to the snack boat and then you can buy something. The Hozugawa River Cruise is 3,900 yen. The Sagano Scenic Railway and the Hozugawa River Cruise are in Arashiyama--a district just outside Kyoto City but within the Kyoto Prefecture. Most people visit Kyoto and give Arashiyama an afterthought. If you ever visit the city, you'll see why. Briefly put, Kyoto is a city unlike any other. Centuries ago, it was once the capital of Japan. 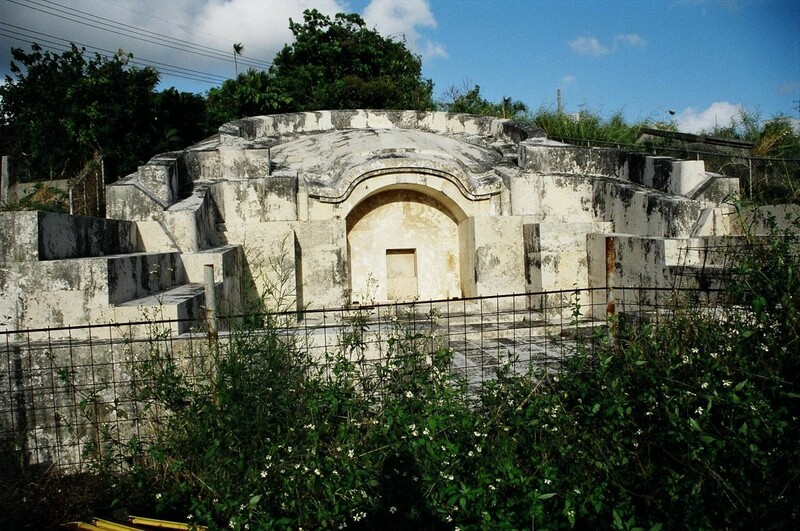 This is evident in the landmarks and local culture that survive to this day. 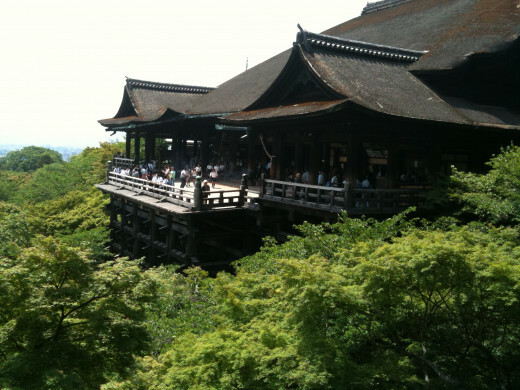 Take a look at Kiyomizu Temple above. A tourist will most likely visit this temple on his first trip to Kyoto. Still, I believe that a person can live in Kyoto for twenty years and still be fascinated by its heritage and history. The Sagano Scenic Railway is a small but fun part of it. The Sagano Scenic Railway is closed every Wednesday, all national holidays and throughout January and February. It is 620 yen for adults and 310 yen for children. Many people make reservations but this was not necessary for us. Perhaps we were lucky. Don't take any chances, especially in the autumn, click on the link below for more information. While you're at it, take a look at some of the other articles about Japan. Would you ride the Sagano Torokko? - Does it sound like fun? It's not the bullet train - but looks like fun! Trains provide an excellent way to see the countryside without roads and cars. Japan has created a beautiful adventure for tourists. I would love to ride a train like this. There are not that many left in the world. Thank you for the armchair tour! I took a couple train rides in my journey, both were very nice experience. As a newbie, this was very enlightening! Very well presented! Nice lens! Congratulations on LoTD. Sounds great! Would love to. Yes, it looks like there's room for much excitement and beauty along the way. Well I do love adventure and this sounds like a pretty amazing adventure to me! I might have to add it to my bucket list! Well done on being awarded LOTD! Congratulations on LOTD! 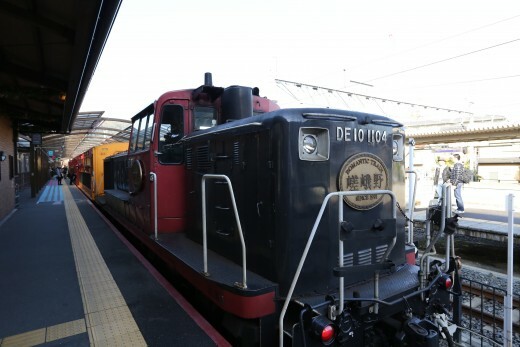 it certainly sounds like an interesting experience riding the Sagano Torokko through such wonderful scenery. This looks like a wonderful thing to do. Congrats on LoTD. I would - it looks like a lot of fun. Sounds like a lot of fun. I would very much like to take this ride someday. It sounds like fun! Congratulations on LotD! Probably so I could walk the way back and enjoy nature up close and personal. What a great trip!! Thanks for taking me with you. Yes! Congratulation on your LoTD. Very interesting. It's another thing to that list of things I just have to do. Congrats on LOTD, blessed and added to my lens..Squid Angel flinnie. Hi I would love to do this, thanks for taking me along for the ride. I so enjoyed it. Wonderful I would very much like to do this! Yes, we rode it in 2007 when my daughter lived in Japan. It was a wonderful experience as was our whole trip to Japan. I would love to ride it. I'd absolutely ride, if I ever visited Japan!! Yes. I love rail and I love scenery, what a perfect combination. Yes, of course. Excellent lens! I love riding the rails and hope to ride the Canadian rails with my son someday soon! Fun Lens! Thanks for sharing! I would. It would be a great way to see the scenery. Looks like a lovely way to spend time. Absolutely! Looks amazing. Thanks for sharing! Sounds like an outstanding trip. Great lens. This must be interesting. Yes, it sounds like great fun! What a wonderful romantic journey with both a train ride through beautiful country to be followed up with an equally beautiful boat ride that was even more romantic....you got extra points in the romance department for this one for sure and memories for a lifetime, congratulations on LotD honors! I would love to ride the Sagano Torokko. I can see it is my kind of place and my kind of travel mode. Japan has long been at the top of my travel wish list. Congrats on LotD! You've made some wonderful lenses! My friend will be going to Japan for the second time in November and I'm very envious, it's a place I'd really like to go one day. Perhaps I'll be able to ride the Sagano Torokko!! Absolutely ... what an adventure! I know of someone who lived near Kyoto for several months. He said the people are so honest that no one bothers to lock up their bikes. Congratulations on LOTD. What a beautiful place. It looks like a very pleasant place. Congratulations on the Lens of the Day! Yes, it looks beautiful, I love a train journey, you've given me an idea for a lens about our past travels.. I've just added riding the Sagano Torokko, and the boat back, to my bucket list. What a lovely journey, would love to take it. Great lens, and congrats on a well deserved LOTD. what a trip this would be, thanks for the sharing your experience! Would love to ride that. And congratulations on winning the Lens of The Day (LOTD)!!! Thanks for the train ride. I visited Kyoto in 1996 but didn't get to do the train. Maybe next time. Thanks for sharing. I have been to Kyoto but didn't ride the Sagano. sorry I didn't now. I love taking train trips and would LOVE to see Japan and this beautiful region by train. Putting it on my Bucket List. To be frank, i say yes. 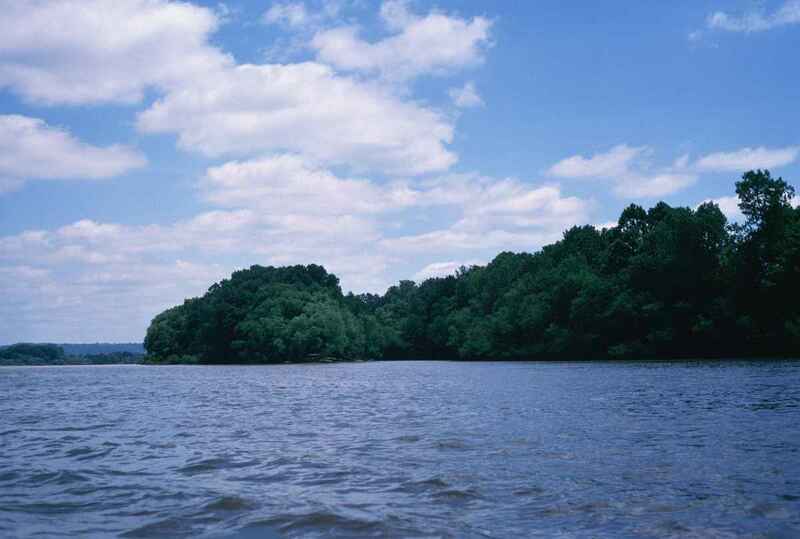 i mean who wouldn't love this natural beauty in the first place?. Great lens. Traveling through nature can be very romantic. Thank you for publishing this lens. I enjoyed the tour. I'd love to. Very nice story about your romantic ride :) Congratulations. There are several such small railways, I have ridden the one up mount Snowdon in Wales and the Festiniog too, they are a wonderful ride through the countryt and romantic too! Veteran SquidAngel blessings. Congratulations for Lens of the Day. I just put this lens into the 3 digit hierarchy. I gave you the 100th Like for this lens. I'd love to do that. It's a wonderful way to see the countryside. Congrats on LOTD. I never heard of the Sagano Scenic Railway before now. i would love to go for a ride. I watched the complete video --- gorgeous scenery. Congrats on the LOTD. It sure does, first chance I get, I'm on! I love activities like this. Oddly, I never thought of Japan as having fall foiliage. We always see pictures of cherry blossoms in bloom. Thanks for opening my eyes. Congratulations on LOTD. It's been a nice "ride." Yea it sure does sound fun!! Amazing lens, and I love the old railway! The Sagano Scenic Railway looks like a beautiful experience - as you say, not just for romantic couples. Congratulations on Lens of the Day. I had once, it was an amazing experience. 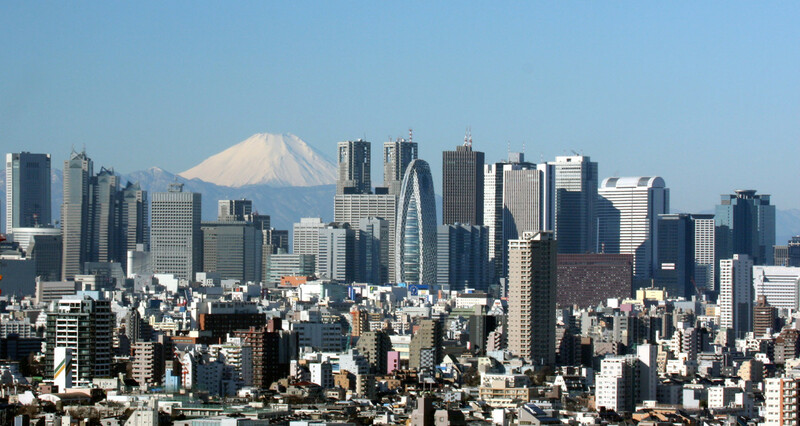 Yes, I have been reading a lot of interesting things about Japan here on squidoo. This is exactly the kind of thing I enjoy doing when visiting places; I want to be able to go out and do some exploring. And I love trains and boats. Sounds like the perfect day trip. I would love to do that. It sounds a wonderfully relaxing way to see the sights. Congratulations on LOTD! Hi Sg. another awesome lens. And yes I would love to take a ride down the Sagano Torokko. Congratulations on lens of the day! I enjoy reading your lenses about your travels, they're always extremely well made! It sounds like a unique experience that anyone would be lucky to have! I found it interesting that other boats are in the river selling food since that's not something I've ever seen. Congrats on LotD! Very nicely done! All aboard! Nice lens. You used the S, word well with this lens. Great job. Yes I would ride the Sagano, sure sound good. Blessed. Sure, I would ride. Thanks for the tour. You're a great guide! I would ride it for sure, given the opportunity.